Miami Discount Auto Insurance.com - Huge savings on Florida auto, homeowners, business, commercial vehicle, and boat insurance. 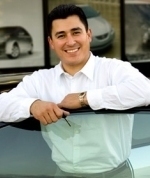 Free auto, homeowners, and business insurance quotes for Miami, FL residents and businesses. Miami Discount Auto Insurance.com Home Page | Welcome to the Website of Brickell Bay Insurance, Inc. Featured Florida Personal Auto Insurance Program! "Call these folks for your Florida Auto Insurance! I saved over $520 per year with just a phone call. I got my insurance ID card the same day, and it couldn't have been better!" - Eduardo M.
Look at These these Features!  Low Deposit, Flexible Payment Plans.  MANY Discounts are available!  Instant SR22 and FR44 Filings! Call Us for FREE Florida Insurance Quotes Today! We can save you money on your Florida auto, homeowners, RV, business and other insurance! Call us for an IMMEDIATE phone quote. In many cases we can place your coverage same day! Read Our Satisfied Customer Testimonials! HUGE Discounts on all Plans. We represent Progressive & other carriers. "We shop so YOU save!" Boats Up to 50' length & up to $250,000 in hull value. Boats up to 75MPH OK! Boats up to 500 horsepower (single engine) and 1000 HP (dual engines). Agreed value coverage to protect from depreciation. Total Loss Replacement Coverage, replaces boat if totaled in first 5 years. Fishing equipment coverage up to $10,000 in value! Business types accepted on our commercial auto program include: Construction, Contractors, Courriers, Courtesy Passenger Transport, Dirt and Gravel Haulers, Food Services, Landscapers, and MANY MORE! Phone: 305-220-1961 | Fax: 305-220-4143 | Privacy Notice/Copyright Info.